It’s always nice to be the first in something. For instance, I was the first person in my house this morning to have some toast. A great feeling. 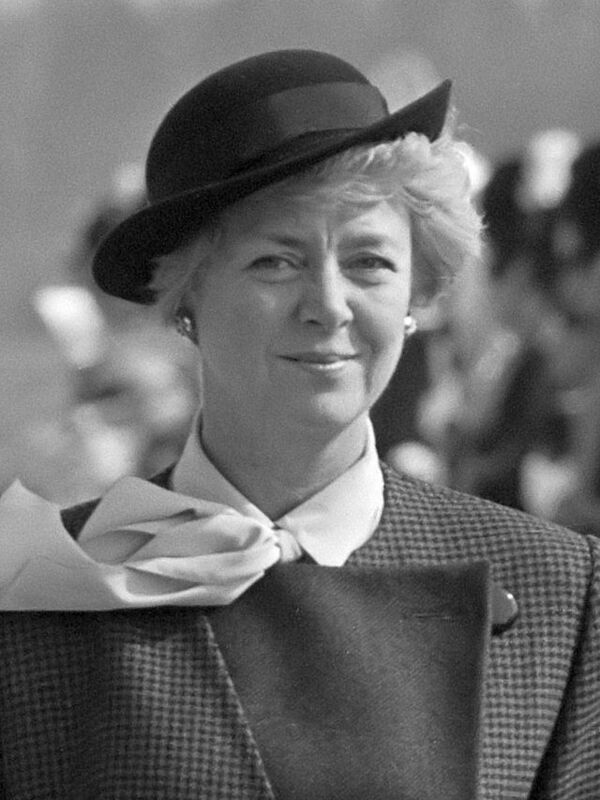 Similarly accomplished in her life has been Vigdís Finnbogadóttir, the former President of Iceland. She can count among her accomplishments being the world’s first elected female head of state, and according to Wikipedia, being the first single woman to adopt a child in her home country. But at least I beat her to the toast. The Iceland President in a marvelous hat. Finnbogadóttir was born on a toasty spring day in 1930 in Iceland’s capital Reykjavik. Her father Finnbogi Rútur Þorvaldsson (thank you copy-paste) taught at the University of Iceland and her mother Sigríður Eiríksdóttir was a nurse and the head of the local nurse’s association. You could say she came from strong leadership stock. And I think I will. She came from strong leadership stock. After graduating high school, young Vigdís headed to Paris to study French Literature. Once she had her BA, she further studied History of Theater in Copenhagen, becoming a rare liberal arts graduate in the modern world to not later work exclusively as a barista. In the 60s and 70s Finnbogadóttir practiced political activism, protesting against the U.S. military presence in the country, and became a central figure in the Icelandic theater scene as Artistic Director at the Reykjavik Theatre Company. 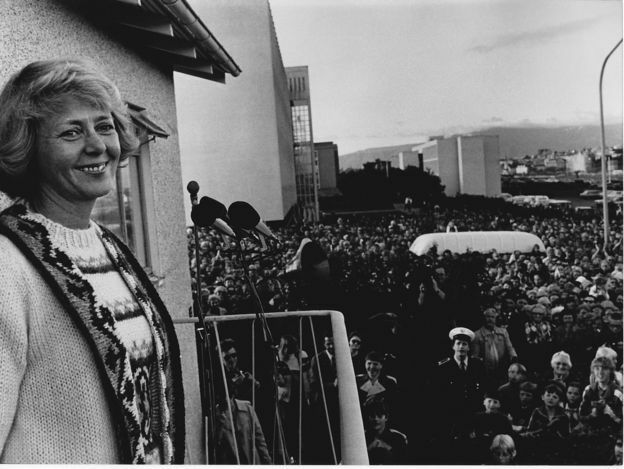 In 1980, with the women’s movement in Iceland having gained significant steam Vigdís reluctantly agreed to run for President, and ended up narrowly defeating her three male rivals. Her popularity soared in office, and she was re-elected three more times until she decided to step down at the end of her term in 1996. Imagine that, a politician voluntarily leaving office once they feel they’ve contributed what they can to give way to the next guy. Now in a homely sweater in a pleasing “yay, everyone adores me” mode. I never realized collars were held in such high esteem by various stately honor granters, but there it is. Extra credit to the British for squeezing a relaxing bath in there. This entry was posted in funny names in education, humor and tagged humor, iceland, international, presidential names. Bookmark the permalink. For what it’s worth, Vigdís Finnbogadóttir is culturally equivalent to the name Janet Wilson. Not really! I just made that up! Hey, is the “Finn” in Finnbogadóttir like a Finn “Finn,” or just a “Finn”? Haha, I like these “For what it’s worth” comments! I think Icelandic names are fascinating – “Dottir” usually means “Daughter”, if what Arto told me was correct. We need a pronunciation guide! That sounds pretty accurate to me! Dave’s right, the last name literally means “daughter of Finnbogi”. Which is indeed her father’s name. Finnbogi is an old Nordic name, a combination of Finn and Bogi. Finn was Old Norser for “wanderer”, while Bogi apparently comes from the Germanic “bow”. So Vigdis’ dad is “wanderer bow”, which sounds pretty rad. That, coincidentally, is also what Janet Wilson means in Old High German. Hey, that was a cool linguistic foray! I had a feeling about Janet Wilson. Somehow, I don’t know how, I just knew it was going to mean the exact same thing in some ancient Germanic type language. Sorry, Arto. Wrong. You didn’t beat her to the toast–unless she slept really late and you had breakfast at 12:01 AM PDT and/or she slept until noon today. Iceland is like, 7 time zones earlier than California. Darn… we Californians are not worthy! Mmm…. collars and baths! I think I chose the wrong career path! Another incipient rap here . . .
You’re a master and make me want to write a… ditty? to rap in a lecture hall. awesome, give this man a bath. I want a bath, and a collar! Never too late to take over a theatre in Oslo and become the King. I’m already the King! it’s just a matter of commandeering a theatre in Oslo! Let’s go! She looks very regal and important in that first shot, with the look that says she is tolerating the press, but borderline to the face one makes when one smells what another has dealt. However, I will not dis the Vigdis and her multiple collars, of which none are blue. Blue bloods never wear blue collars, do they? Not that she’s blue blood, I’m just thinking out loud, like Ed Sheeran. I also read that at the age of 41, she adopted a daughter, being the first single woman who was allowed to adopt a daughter. Does that make her daughter a Finnbogadottirdottir? Good question on the name. If the family name comes from the father, and there ain’t one, can you hear the name fall in the woods? I will approve your compounding of the dottirs while we wait for the official answer. Never did pay attention to collar color, but I’ll trust your intuition on that. I just mean if you’re rich, you never have to be a “blue collar” worker, like at Jiffy Lube, where they change oil in cars. Never have seen a millionaire or a queen of Denmark working at Jiffy Lube, so I hear ya there. when you can say vf’s name clearly 3 times, you are cut off. In Iceland, they have to wrap themselves in long, substantial names to keep warm. This seems like a reasonable explanation.